Treatments are conducted in your home for convenience and comfort. 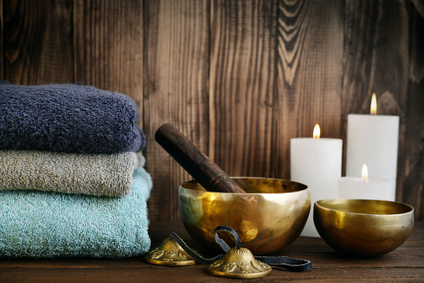 For a complete holistic package why not consider combining a yoga practice followed by an Ayurvedic Massage Therapy. A deeply therapeutic caring massage treatment to nourish the scalp and wash away tensions associated with migraine, headache and neck stiffness. 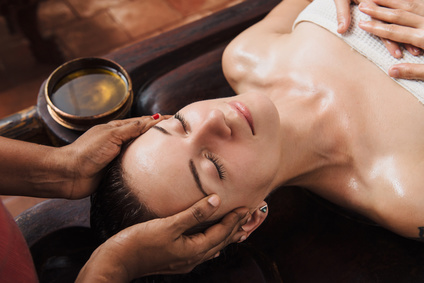 begin with warm dosha specific oils poured into your hair, aiding the nourishment of roots whilst the herbs calm and revitalise the spirit, ancient massage techniques allow your body to surrender and enhance overall equilibrium. Combining deeply therapeutic techniques to release energy blockages, improve circulation and restore tired calf muscles, the body feels eased and energised. In addition the soles of the feet are cleansed and nourished. An ancient therapy combining pressure to specific marma (vital) points all over the body and yogic stretches to all the joints. The massage manipulates healthy flow of energy through the body's junctions and nadis (pathways and channels) and delivery is personalised to suit your needs (dosha). A pummelling massage, this treatment is great for sports enthusiasts as it addresses problems relating to weak joints and sore muscles. Extremely nourishing, strengthening and rejuvenating. Herbal powders are crushed in a traditional pestal and mortar and tied into a muslin cloth which forms the medium for this treatment, known in India as a bolus. After warming, oil is applied to the body using the bolus and an Ayurvedic technique know as pummelling is applied. Good for: arthritis, stiff joints and pains, inflamed muscles, certain skin conditions, water retention and improves circulation. Duration 1 hr 15 min, £75. Working on your face, neck and head, this beautiful remedial therapy where firm pressure lifts facial muscles, leaving a youthful, vibrant glow. By massaging the marma points, energy flow increases; stimulating blood flow and collagen, which helps to reduce problem lines. This cleansing and exfoliating treatment uses specific Ayurvedic herbs which are vigorously rubbed over the body to help draw out impurities and reduce water retention. The natural ingredients leave a lustre to the skin surface.